Who’s Going to Vegas This Weekend? Two of the world’s largest motorcycle auctions are kicking off this week in Las Vegas – are you going to be there? If you need a reminder, I’ve already previewed both auctions for you: here’s Bonhams, and here’s Mecum. A few readers have already let me know that they’ll be going, and I look forward to seeing you there! You should be able to spot me because I’ll be a.) tall and brown b.) wearing a Bike-urious t-shirt c.) holding a beer, camera, or some combination of the two. 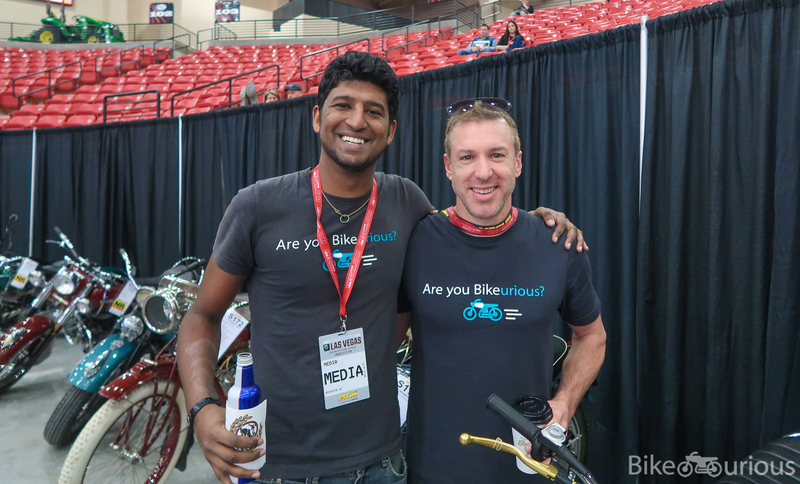 While the bikes are awesome, my favorite part of the trip is meeting up with readers, so please leave a comment below or drop me an email: abhi AT bike-urious.com if you want to say hi.